Visit or Skip It? Is the Maui Ocean Center in Hawaii Worth the Trip? There’s nothing like a trip to Hawaii to inspire you to examine marine life — after all, when you’re in the islands, you’re practically living in the middle of a giant aquarium! However, no matter how much you snorkel and SCUBA, it’s impossible to experience all the marine life Hawaii has to offer… which is why a trip to the Maui Ocean Center in Hawaii may be a fantastic way to spend a day on the Valley Isle. The author's family gazing up at the wrap-around aquarium, which is always a hit! 1. Do you have a significant travel budget? As was just mentioned, it would cost nearly $100 for entrance to the Maui Ocean Center in Hawaii for a family of four. BUT, that’s not counting all the “extras” you’ll need when you’re there. If you want to rent a headset, it will cost about $8 per set. Then, lunch for a family of four costs about $60. Now, the gift shop… You can see how things add up. And, remember, there are lots of experiences, such as the Shark Dive, Discover and Dine, and the Aquarium and Maui Golf Package that are quite pricey, too. HOWEVER, it’s important to note that Hawaii Aloha Travel has negotiated a discount to the Maui Ocean Center for those who book through the company. So, avoid paying full-price, and ask one of our tour professionals how to take advantage of the discount. We opted to buy the headsets, so we could learn more about each exhibit. It helped us learn more about each display. 2. Do you have 2+ hours to spend? 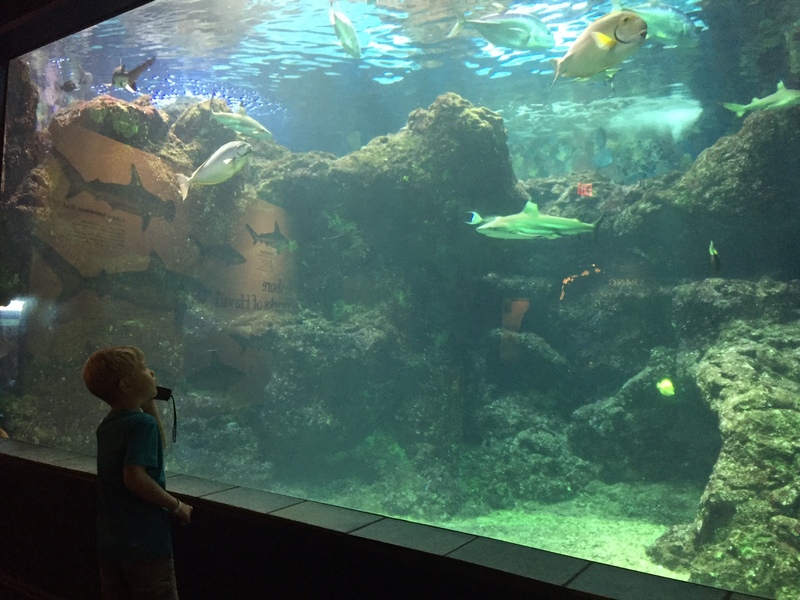 To really experience all the Maui Ocean Center has to offer, set aside AT LEAST two hours, especially if you have children. The first “section” of the center is loaded with fun things to see and discover. 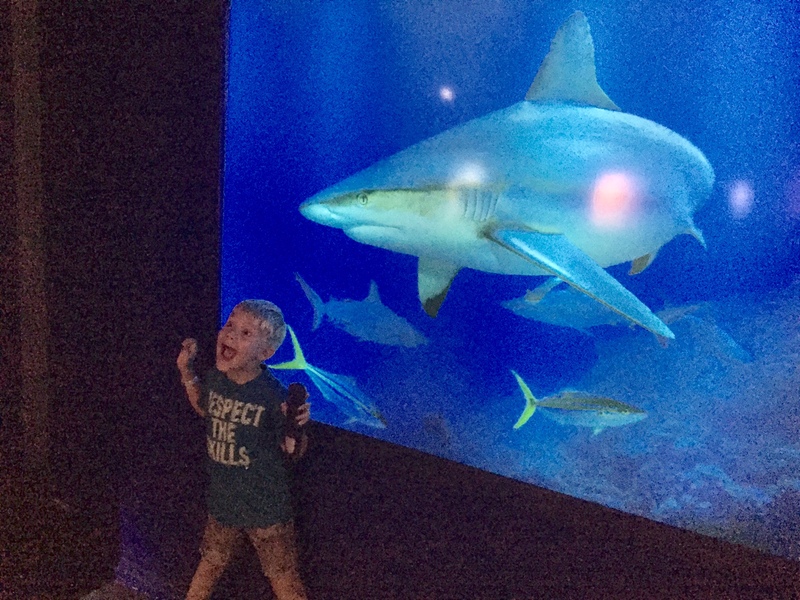 The second “section” (as you enter through the shark’s mouth) takes about an hour as well, especially if your children like to experience the hands-on interactive displays. Lunch can set you back another 30 minutes to an hour. So, here’s what I’m saying: Don’t go to the Maui Ocean Center unless you have some time to spare. 3. Are you OK with a moderate crowd? 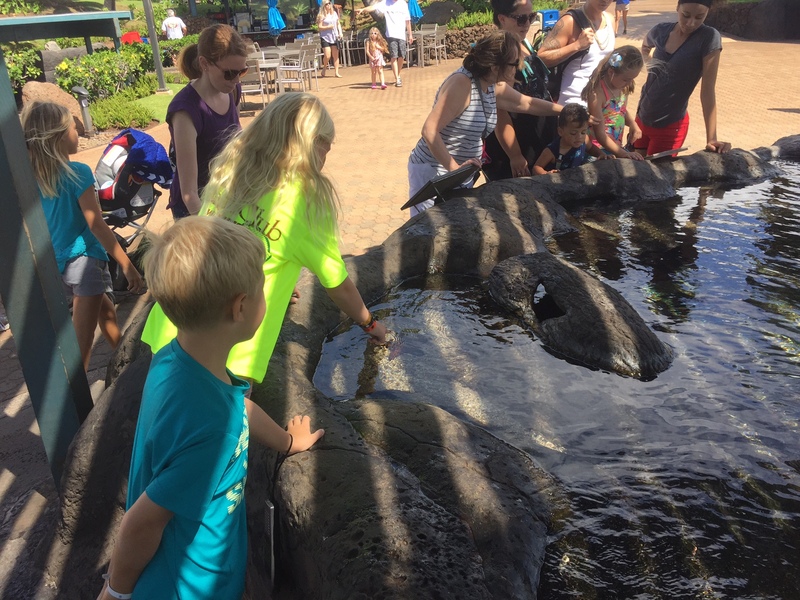 During peak travel season, the Maui Ocean Center can get quite crowded, especially in the mornings when families like to gather here. The best time to avoid crowds at the aquarium is about two hours before closing. Most of the families with young children will be back at the hotel napping, and you can get all the best viewing spots. Nothing says fun like forcing your seven year-old to pretend he's getting eaten by a shark! 4. Have you seen many aquariums? Although the Maui Ocean Center is one of my favorite places on Maui, I’m originally from Georgia, which is home to the world’s largest aquarium. Frankly, there’s nothing I’ve seen at any aquarium that I haven’t seen there. So, it’s worth noting: You probably won’t see anything at the Maui Ocean Center that you haven’t seen at other aquariums. However, if your aquarium experience isn’t extensive, you’ll likely be introduced to new and exciting animals. 5. Are you expecting to see marine mammals? Throughout our visit, I kept wondering: Where are the monk seals? Where are the dolphins? Where are the Beluga Whales? Turns out, there’s a ban on keeping marine mammals in captivity on Maui. So, you’ll be highly disappointed if you’re expecting to see any marine mammals on display. Because the center was filled with so many other fascinating animals, I didn’t really miss it (neither did my kids). But, if you’re looking forward to seeing marine mammals here, maybe you should skip. The touch pools are fun for the kids, too. Experience what it's like to feel starfish, sea cucumbers, and sea urchins. 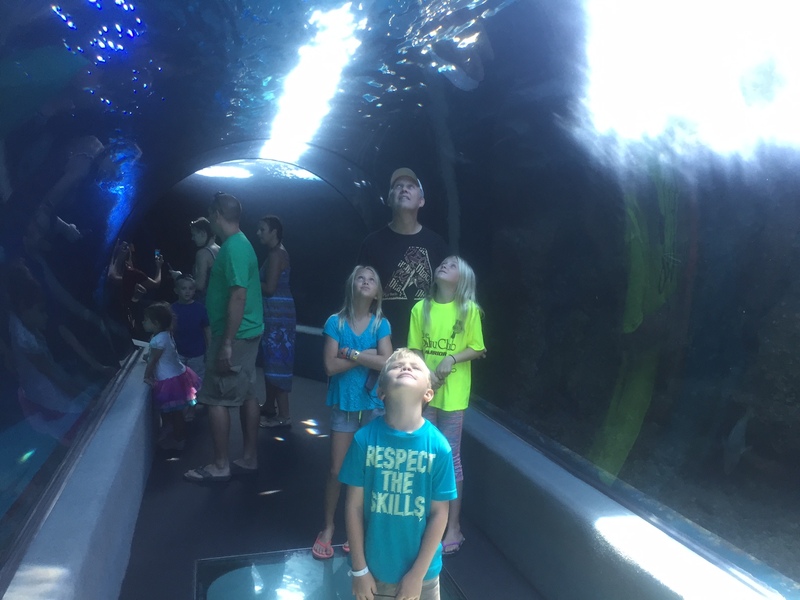 Even though my family could be considered aquarium-junkies, we still thoroughly enjoyed our day at the Maui Ocean Center. And, no doubt, you will too. But, ask yourself these questions before booking your visit, so you can make sure the venue will meet your expectations!